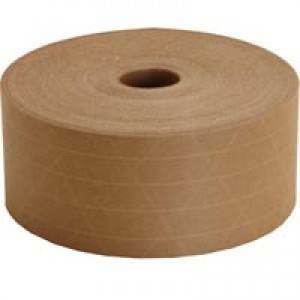 Water activated tape is primarily white or natural colored kraft paper with a starch-based adhesive. It's usually available in various widths and thicknesses and might contain multiple layers with fiberglass reinforcement, depending on the strength necessary. When the adhesive is activated with water, it penetrates the carton material, forming a permanent bond. Water-activated tape bonds instantly to both virgin and recycled fiber surfaces and therefore, generates an immediate destructive bond resulting in a tamper evident package. WAT Paper Tape (Gummed Tape, Gum Tape, Kraft Tape) is offered in both fiberglass reinforced and plain paper with many styles available. So, WHAT is the big idea about WAT? Water activated tape (WAT) is a paper carton sealing tape (white or natural kraft) available in various widths and thicknesses and which may contain multiple layers with fiberglass reinforcement. When the adhesive on the water activated tape is wetted, it penetrates the carton material, forming a permanent bond with the carton. It bonds instantly to both virgin and recycled fiber surfaces, generating an immediate, destructive bond which is what makes it a highly effective theft deterrent. 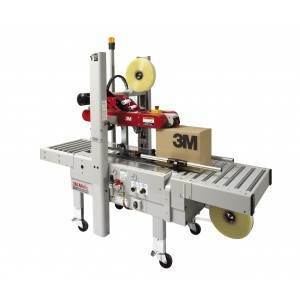 Sometimes called paper tape, reinforced tape, gum tape, gummed tape, reinforced gummed tape (RGT), non-asphaltic tape, Kraft (non-reinforced) tape, water activated taperequires a dispensing machine for application; it cannot be used with a traditional hand-sealing dispenser. Companies are increasingly using water activated tape to ship their products ordered over the internet for reasons including tamper-evidence, theft avoidance, branding their cartons, sustainability, and additional strength. Any company in virtually any industry can benefit from using WAT, but its most typically found in the food, clothing, health care, pharmaceuticals, manufacturing, electronics, public safety, furniture, and defense industries. From a security perspective, all pressure sensitive tapes can be defeated with a heat source like a blow dryer. Unknown to the shipper or receiver, packages can be opened and re-sealed. Besides goods being removed from cartons due to theft, unwanted materials could be placed inside creating possible security or health risks. But, WAT is tamper-evident, so if cartons are compromised during shipment there is usually some kind of evidence showing that something has happened to the carton and, potentially, its contents. Additionally, water activated tapeis more cost effective than traditional pressure tapes. Despite needing a brief moment for the adhesives to penetrate the carton, a WAT dispenser is superior to a typical tape hand dispenser with studies showing thesedispensers are 21% more productive.And if youre looking strictly on a cost-per-foot basis, three inch wide plastic tape is about the same price as three inch wide water activated tape, however, in practical applications, most packers will use at least two strips of traditional plastic tape, quickly making the cost-per-carton-sealed more expensive than WAT, which never needs a second strip across the same seam. Typically, even before the customer gets to yourperfectly designed product box - the one you've labored over, spent thousands of hours and hundreds of thousands of dollars in research and design on, the one that will really give them the initial feel for your product and could make or break the loyalty relationship - theyre met with the protective packaging that it is shipped in. And if that impression isnt of the highest quality, what holds promise that the contents of that box will be? 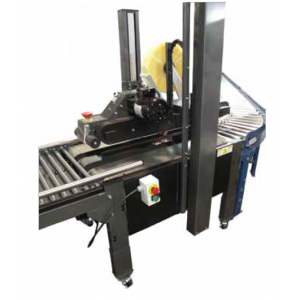 Packaging tape is a critical element to producing a secure seal that can withstand the distribution network. Unfortunately, its not always a top-level concern, but failure to do so can result in case sealing issues such as packaging tape not sticking and loose case seals. According to UPS, improper tape application is the leading cause of closure failure on a shipped box. Inconsistently sealed boxes create weak seals, leading to production downtime, carton reworks, material waste, heightened labor costs, and higher risk of product damage, contamination and theft in transit. Thats why its so important to choose the right packaging tape. There are several factors to consider before choosing a tape for your application, especially as various conditions can affect the quality and security of your seal. 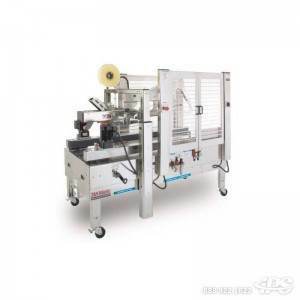 These factors include grade, environment, adhesion surface, application method, and tape quality. Grade: Packaging tapes are available in a variety of grades or varying levels of film thickness and amounts of adhesive. These grades ensure you have the right holding power and tensile strength: lower grades offer thinner backings and lower levels of adhesives making them ideal for lightweight carton sealing, while higher grades have thicker backings and adhesive layers making them better situated for heavy duty or high security sealing. Environment: The shipping and receiving environments are critical for determining which tape is going to fit your specific needs. Temperature, humidity, and other environmental factors can greatly affect different grades and types of tape. And why does that matter you might ask. One word: adhesion. Choosing the right tape can mean the difference between continuous adhesion and potential product contamination and damage from adhesive failure. Adhesion Surface: The surface to which the packaging tape is applied also important in determining the type of tape to use. Recycled cartons are used by many manufacturers, but the highly recycled nature of these cartons can affect the packaging tapes ability to securely adhere. As the recycled content increases, smaller fibers and more fillers are used making it for packaging tape to stick. 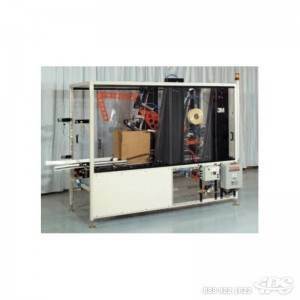 Application Method: Packaging tapes can be applied to cartons via a manual or automated process. In manual processes, choosing a tape by unwind is a vital consideration. 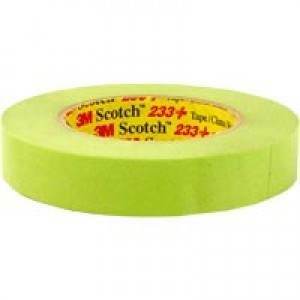 Additional tape features to look for include good tack for initial grab to the surface, a strong film backing for less stretching and breaking, and good adhesion to backing for those applications that require shingling, or stacking several strips of tape together to create the seal. Tape Quality: A final factor to consider when selecting a tape is quality. 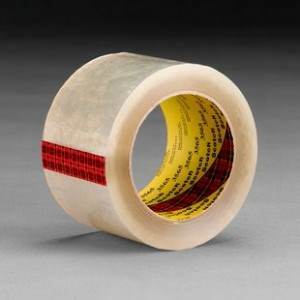 A tape thats manufactured well allows lines to run faster and longer. Variables such as inconsistent film thickness, thin adhesive coating, and little release coating may hinder the performance of the tape.